Many have labelled Brazil’s incoming president Jair Messias Bolsonaro “The Trump of the Tropics.” Nevertheless, his blatant disregard for minority rights and his support of extra-judicial killings are similar to Phillipine strongman President Rodrigo Duterte. Brazil is a country marked by huge social contrasts, with the extremely rich and those living in poverty divided along racial lines. But Bolsonaro’s ultra conservative narrative of being anti-LGBT rights, promising safety on the streets and economic austerity has captivated Brazilians. Bolsonaro’s new Finance Minister Paulo Guedes is a libertarian and will liberalise Brazil’s economy, privatising most state owned companies. There is growing speculation that even Brazil’s petrol giant Petrobras may be privatised. It is believed that Bolsonaro will run the country similarly to former Chilean military dictator Augusto Pinochet – an authoritarian government with liberal economic policies. In the first week of his administration, Bolsonaro has increased the minimum wage and has revisited his controversial take on Brazil’s retirement age. After approximately 13 years of left leaning Workers Party’s rule, Brazil’s state apparatus needs urgent reform. Nevertheless, with the rise of the far-right, it is vital to reflect upon how Bolsonaro’s brave new world will reshape Brazil’s strategic architecture. 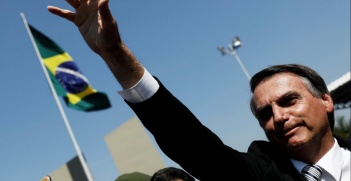 Bolsonaro argues that under his administration Brazil will no longer pursue the Worker’s Party’s “communist agenda”, and prevent Brazil from turning into a “new Venezuela.” His divisive narrative is strongly built in the ultraconservative Catholic and anti-communist ideology of Tradition, Family and Property (TFP). One of the key policies supported by Bolsonaro and his allies in Brazil’s lower house is a project nicknamed Escola Sem Partido (Schools Without Party). This legislation is currently in Brazil’s lower house and will soon be voted on in Congress. This project states that Brazil’s school teachers will have specific guidelines printed out in a board, which will be on display in every classroom. One of the key elements of Brazil’s Escola Sem Partido is that teachers are restrained from luring “students to support any political, ideological views or any party lines.” Nevertheless, this is a highly subjective terminology and when dealing with the field of humanities it can be increasingly challenging to set out what constitutes “political and ideological views.” It can be argued that this is a political manoeuvre to curb free speech and gag political dissidents. Bolsonaro’s first week in office has been surrounded by controversy. He selected Murilo Rezende as the ENEM’s new coordinator, once again criticising “indoctrination in the Brazilian school system.” The ENEM is a national exam to rate students who wish to progress to tertiary education, similar to Australia’s Year 12 exam. Murilo Rezende is an admirer of Brazil’s far-right political ideologue Olavo de Carvalho. This indicates that the Bolsonaro administration will have zero tolerance for diverging views and will promote its own ideology in Brazilian schools. Despite a professed dislike for ideology, Bolsonaro’s Education Minister Ricardo Velez-Rodriguez, influenced by Brazil’s far-right ideologue Olavo de Carvalho, may introduce new ideological guidelines to grant students overseas scholarships. It is thought that such guidelines will also apply to existing overseas scholarship grants, increasing fears of persecution of political dissidents. During his inauguration speech Bolsonaro reaffirmed that he will roll back gender rights and oppose alleged “gender ideology.” Bolsonaro stated that “gender indoctrination will no longer be taught in Brazil’s school system.” This is a direct appeal to one of his strongest electoral platforms: his anti-LGBT rights crusade and his fight for traditional Christian values. Additionally, Bolsonaro stated that he will roll back indigenous rights. During his presidential campaign Bolsonaro was a staunch critic of the Worker’s Party Schools without Homophobia program. This program would distribute a booklet, videos and pamphlets to equip educators, teachers and civil society in the fight against homophobia in Brazilian schools (nicknamed “kit gay”). Brazil has one of the highest rates of violence towards the LGBT community, with at least 445 LGBT Brazilians killed in 2017. In televised interviews Bolsonaro labelled Schools without Homophobia an attempt to indoctrinate school children as young as six years old into gender ideology displaying a sexual education book to the audience (allegedly part of the “kit gay”). Nevertheless, there is evidence that this was actually “fake news.” The 2004 Worker’s Party “kit gay” was never implemented. In 2011 the material’s distribution was suspended by former Brazilian president Dilma Rousseff from the Worker’s Party. Regardless, Bolsonaro continues his quest to promote anti-gender ideology and promises to reshape Brazilian society. Bolsonaro stated during his inauguration campaign that Brazil will revisit its foreign policy and withdraw from the United Nations. Another controversial measure by the Bolsonaro administration was to appoint Car Wash Judge Sergio Moro as Justice Minister. The United Nations Human Rights Committee is currently assessing Moro’s decision leading to the imprisonment of Worker’s Party politician Lula da Silva. A member of the committee stated: “Sergio Moro sealed Brazil’s destiny by accepting being (Jair) Bolsonaro’s minister. It was the drop of water.” Brazil might suffer UN sanctions due to the lack of due process in Lula’s trial and his subsequent imprisonment. Brazil-US Relations: The Cold War’s Monroe Doctrine Revisited? 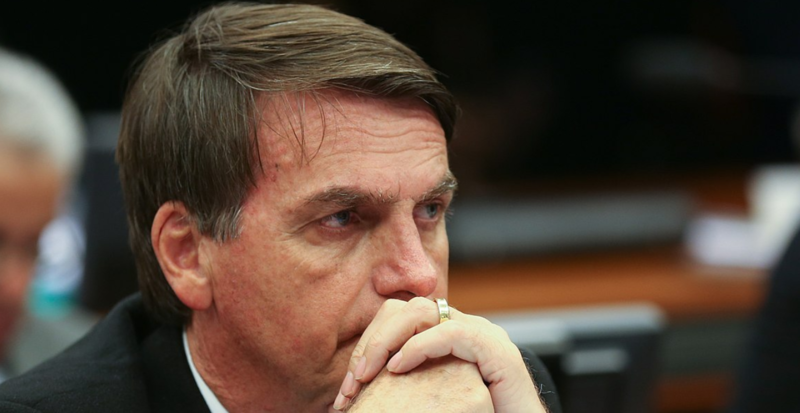 Bolsonaro has threatened to leave Mercosur if Brazil’s participation is not renegotiated, he will also revisit Brazil’s participation on BRICS and Brazil-China relations, closely aligning with US foreign policy and strategy in Latin America. On numerous occasions, Bolsonaro has declared his admiration for US president Donald Trump, and how his administration’s strategy will be deeply aligned with Washington’s interests in the region. Moreover, Bolsonaro has declared that Brazil will follow in Washington’s footsteps and move their embassy in Israel from Tel Aviv to Jerusalem. In his first week in office, Bolsonaro declared his concern with Russia’s closeness to Venezuela’s socialist President Nicolas Maduro, and that Brazil should build a US base to counter Russian influence. Bolsonaro’s pro-US narrative and close alignment to Donald Trump could lead to an increasing polarisation in Latin America, resembling Cold War times. A US base in Brazil is a matter which was not openly addressed during Mike Pompeo’s recent talks with Bolsonaro, and it is not clear where the US would like to place the base. Moreover, this week Brazil led the Lima Group, where 12 other American foreign ministers met to seal Venezuelan president Nicolas Maduro’s destiny. The group discussed whether Nicolas Maduro’s second mandate should be recognised by other Latin American nations, as the majority conservative Venezuelan Congress opposes it. It is argued that Maduro’s second term elections were fraudulent.US Secretary of State Mike Pompeo kept a close eye on the Lima Group discussions, participating in the talks through video conference. If matters are not settled diplomatically with Venezuela, the US is considering a military option. A close strategic alignment between populist governments in Brazil and the US might lead to unchecked US influence in Latin America and a return to US-Latin America relations in Cold War times. This could catalyse a US intervention in Latin American political affairs akin to Washington’s defunct Monroe Doctrine. US ambitions in Latin America and increasing polarisation between socialist leaning Latin American leaders, and populist far-right governments in Brazil and the United States could lead to political instability and an arms race in the region. Flavia Bellieni Zimmermann holds a Bachelor of Laws with Honours from the Pontifical Catholic University in Rio de Janeiro and a Graduate Diploma of International Relations and National Security from Curtin University, Western Australia. 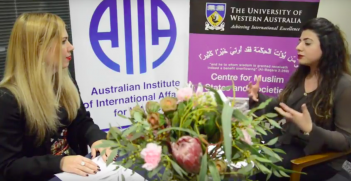 She is currently a PhD Candidate at the University of Western Australia Centre for Muslim States and Societies and also an intern with the AIIA for WA. 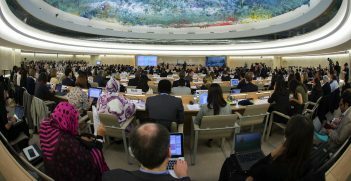 Australia and the UN Human Rights Council: Principles or Opportunism? With Australia in prime position to be elected to a seat on the UN Human Rights Council, it can no longer champion human rights internationally while failing to address its domestic policy failings. With Bolsonaro’s victory, Brazil is set to align closer to Trump, threatening globalism and multilateralism and hindering progress on climate change.